Cadmus unleashes its new project, the kryptonite-powered Metallo, on Supergirl and her cousin. Alex finds a new lead on the mole inside the DEO, while Kara struggles to deal with the changes in her life — including her new boss, Snapper Carr. 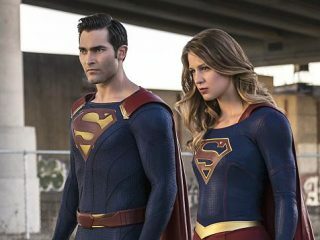 CADMUS attacks National City with a kryptonite powered villain who ends up seriously hurting Supergirl (Melissa Benoist). Superman (guest star Tyler Hoechlin) blames Hank (David Harewood) because the kryptonite was stolen from the DEO. Meanwhile, Kara's first day at her new job doesn't go as planned after she meets her new boss, Snapper Carr (guest star Ian Gomez). Glen Winter directed the episode written by Robert Rovner & Caitlin Parrish (#202).